The beach at Bondi is pretty good at drawing its own crowd. And ever since the likes of Messina, Bills Bondi and Mr Moustache opened in 2014, there’s been a reason to stay from morning to night. But for the past six months or so, nothing new has really opened there and the locals have been getting a little bored. That was until Drake Eatery opened. One of the most exciting things about the opening of Drake Eatery is it’s by a chef who’s never owned his own restaurant before – Ian Oakes. Of course he’s no newbie to the pressures of working in the food industry, especially since he was Head Chef at The Grand National (who were awarded a 1 Chef’s Hat rating four years in a row under his watch). The excitement, passion and vision of someone new with something to prove is a thing to be treasured. And you can see it inside the walls of Drake Eatery. 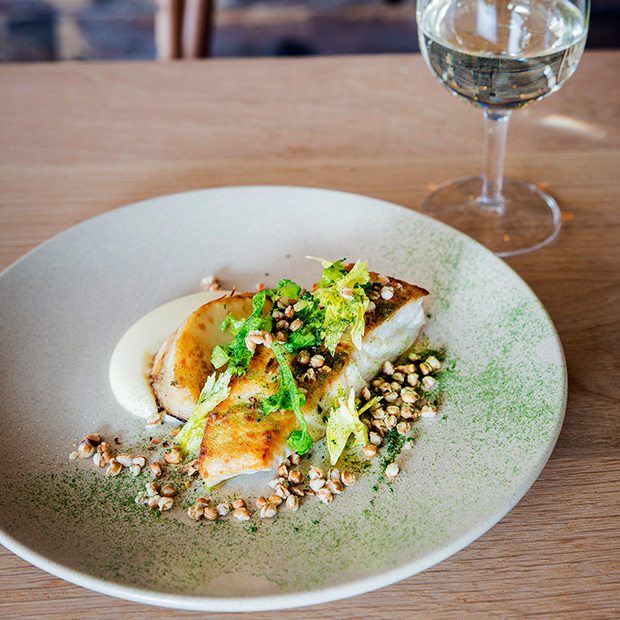 Taking up one corner of the Curlewis Street and Gould Street intersection, Drake Eatery is hard to miss. Apart from Paper Planes and Sonoma who are tucked in a laneway down Gould Street, there’s really nothing too noteworthy, or at the very least eye catching in the area. But you can spot Drake Eatery in a second with their big windows and the warm golden glow coming from inside. 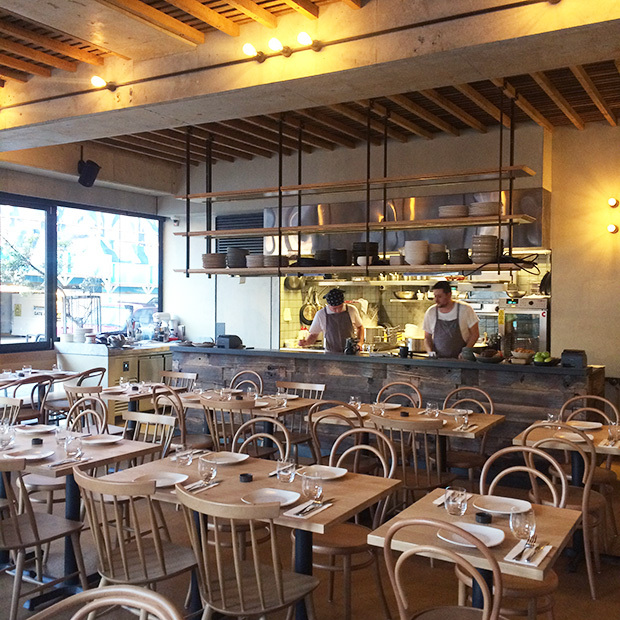 Very cleverly, Ian has gone for casual dining with hearty yet refined dishes. And it must be said, he has some seriously lovely staff (dressed in uniforms designed by Aje) working there, which is not something you get every day in Bondi. Not surprisingly, the menu is focused on seasonal, local produce. It’s the only way to do things these days. But what’s different is the flavour pairings. Reading the menu, it’s hard to imagine what the dishes are going to taste like, but they’ll definitely have you intrigued. Raw fish, celery hearts, green chilli and coriander. Tea-smoked ocean trout with celeriac, sorrel and liquorice. 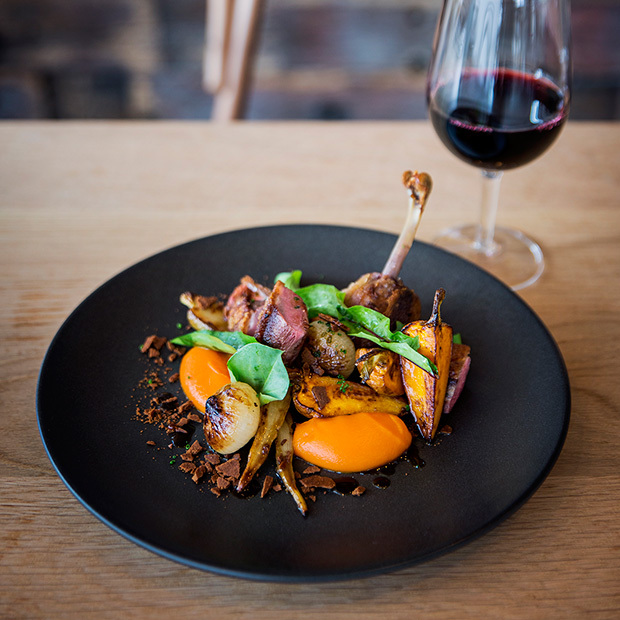 Roasted half Thirlmere duck with cipollini onion, carrot and gingerbread. See what we mean. The menu is full of tough, unique choices. Let us give you a helping hand. The first choice you need to make is ordering the oysters with shallot vinaigrette. That vinaigrette is some of the best we’ve ever had. And our other tip? 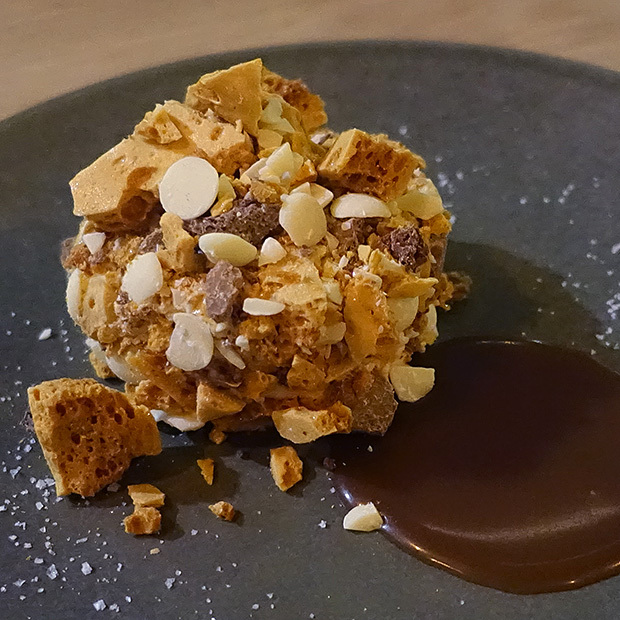 Don’t you dare leave without trying the white chocolate and honeycomb parfait with salted caramel. It’s ridiculous.